How can we bring disappearing sparrows back to our cities? In 2012, the then Chief Minister of Delhi, Sheila Dikshit, declared house sparrow as the state bird of Delhi. Two years prior to that, the Indian Postal Department had released a stamp of the house sparrow along with the rock pigeon. But what was once the most ubiquitous bird is now fast disappearing from our neighbourhood. Once again, the blame goes to us, humans, who have robbed them of their food and nesting places. Our indifference is pushing them to the edge of extinction. Sparrows are rendered homeless due to modern "matchbox styled" architecture that makes it difficult for the bird to build nests. These winged companions, who used to build nest in holes, roofs and crevices on traditional houses, are struggling to find a safe corner in glass buildings. 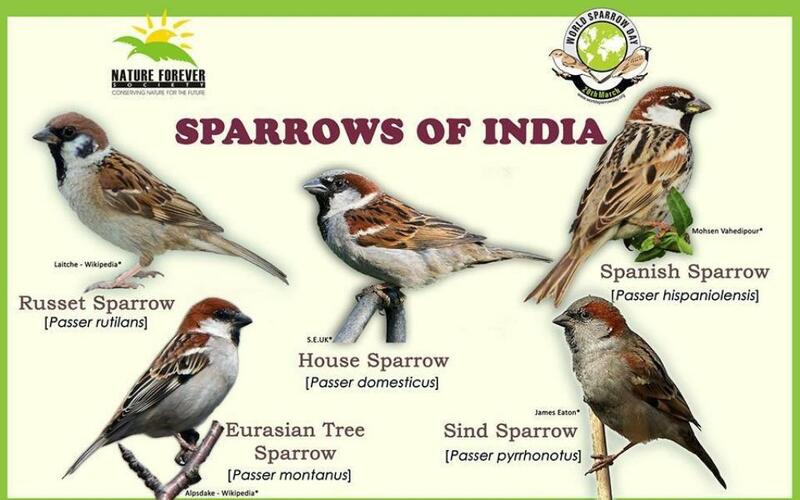 It also explains why South Mumbai sees a comparatively larger sparrow population than the western suburbs. Like sparrows, cavities are important for mynahs and parakeets to make nests. Not just pesticides used during agriculture, but the chemicals used while storing grain, ultimately find way to the system of a sparrow, causing them to die, says P A Azeez, former director of Sálim Ali Centre for Ornithology and Natural History (SACON). “Unlike conventional shops where we used to pack grains and pulses in paper bags, making some allowance for spillage, the plastic bags in departmental stores don’t allow that spillage, which explains the scarcity of food for these poor birds,” he adds. So what can we do at our level to arrest this trend? “Make holes in your homes. Help them find a safe nesting place,” he quips. The depleting population of sparrows is also attributed to increased use of packaged food. 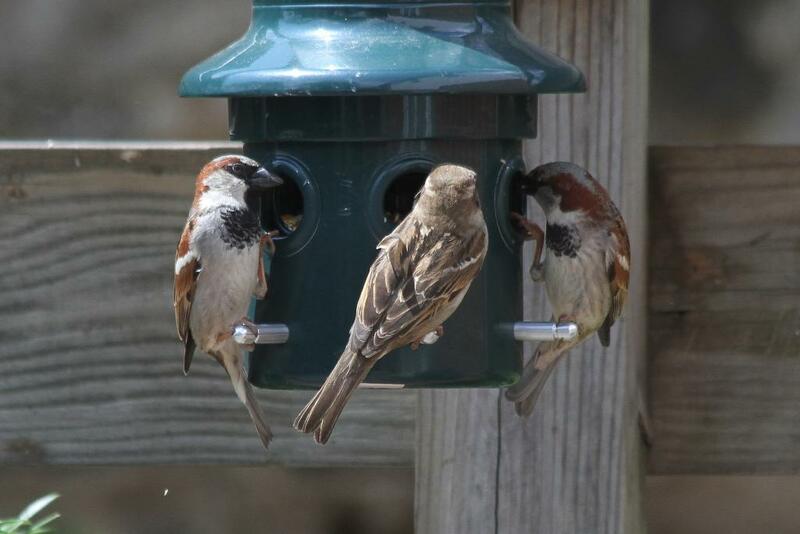 Unlike the earlier days, when women used to clean grain outside their houses and sparrows would have plenty of food from there, the bird is either starved or forced to eat leftover from the packaged foods. Extensive use of pesticides and insecticides in farms and gardens is also killing the bird’s primary food source: insects. With native plants like adulsa and mehndi are being fast replaced by non-native plants to aid modern landscaping, the sparrows are losing insects like aphids to feed on. Sparrows need a diet of insects and worms like caterpillars that serve as a protein supplement, particularly during growing up phase of their life. Apart from declining number of insects that they feed on, contemporary landscaping is also doing away with hedges—preferred nesting places for sparrows. Back in 2011, the expert committee under the Ministry of Environment, Forests and Climate Change (MoEF&CC), had admitted that electromagnetic radiation (EMR) is largely responsible for the bird's declining numbers. The panel had suggested recognising EMR as a pollutant because of their possible effect on animals and birds. It also pointed out how common house sparrows have declined in numbers in Nagpur, Bhopal, Jabalpur, Ujjain and other cities due to an increasing use of mobile phones. Sparrows are indicators of environmental health and changes in the urban ecosystem. What can we do to arrest this decline? According to the founder of Sparrow’s Shelter, Pramod Mane, under whose request the then CM of Delhi declared sparrow as the state bird, “During summers, people should hang artificial bird nests in balconies and put out a pot of water and food for the winged visitors.” Sparrow’s Shelter was the first organisation in Mumbai to introduce the idea of bird houses in 2008. “If we cannot save sparrows, no one else can. In few decades, they would go extinct like dinosaurs. My organisation is trying to make people aware of their responsibility to save the bird because they are only one responsible for their deaths,” says Mane. Sparrows were included under the ‘threatened’ category in the IUCN list. Kitchen waste could be transferred into bio-manure and the decomposition would help in the development of microbes that these birds feed on. Besides water bowls, bird-bath in hot summer afternoon helps birds to rehydrate. Plants and hedges, that are native to the place, can be grown. This encourages sparrows to come back. Sparrows breed four times a year. Artificial nests outside our homes can help them have a constant and safe place for breeding and to roost. I made shoe box nest for sparrow two times. Sparrow came and built their nest, but first time tbe baby was dead and next time the bird left the nest with eggs. They used to come near nest but didn't go inside. it's such a sad departure of a loving, pesky, joyful friend. the sparrow is still to me, one of the best joys of sitting in my backyard just observing them busily going about their business. getting so confident of your presence at times, that they think nothing of sitting on your shoulder or head to survey their next foraging space. i really miss my dear friends and would do anything to get them to visit again. i;ve done the bird house grain feed water routine but to no avail. guess something else needs to be done. can any body help? ?